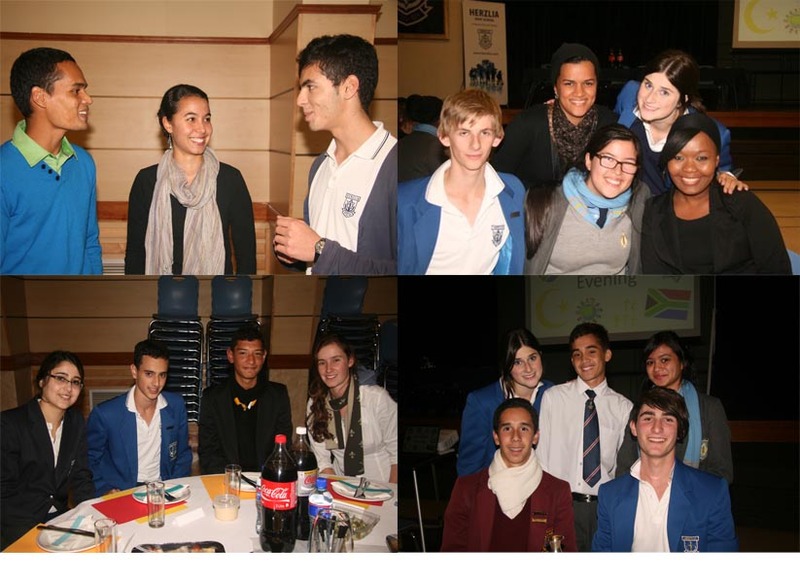 Herzlia High School’s Student Representative Council hosted an Interfaith Evening on the 3rd of May 2012. Students from a number of schools across the Cape Peninsula participated in the evenings events. 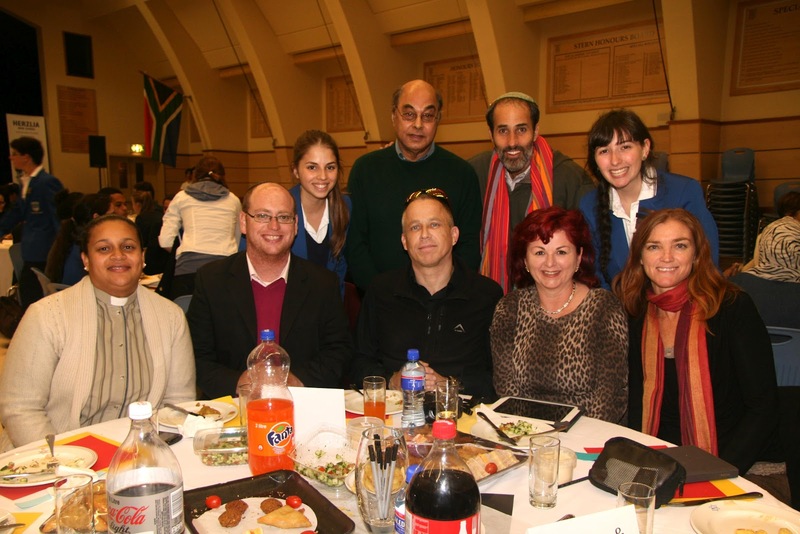 Also in attendance were the 2011 and 2012 Face to Face/Faith to Faith home groups as well as the Face to Face Alumni Committee. The evening began with a series of interactive activities to explore first impressions as well as similarities and differences which proved to be effective ice breakers. The keynote speaker for the evening was Sonja Kruse (TheUbuntu Girl). She delivered her personal and captivating story about walking around South Africa with only a backpack, a camera and R100.00 so that she could explore the unity and the spirit of ubuntu amongst the people of South Africa. 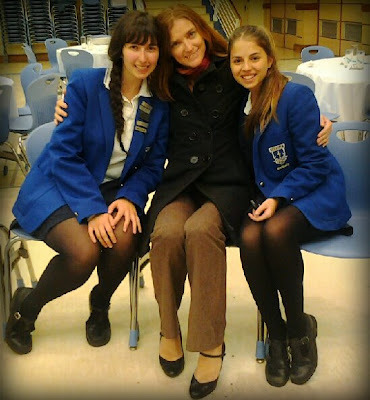 From left: Jaime Uranovsky(Herzlia), Sonja Kruse (Ubuntu Girl) & Jessie Zinn (Herzlia). Both Jaime and Jessie were 2011 F2F participants and the organizers of this event. “How tolerant is your community and what can you do realistically to make it more tolerant?” was the subject of the panel discussion that followed.The panel consisted of a diverse,dynamic, entertaining and interesting group of individuals who represented the three Abrahamic faiths: Mr. Mohamed Kagee (representing Islam), Rabbi Greg Alexander (representing Progressive Judaism), Reverend Natalie Simons (the Anglican representative), Mr Saul Kaplan (representing Orthodox Judaism) and Father Stephan Hippler (the Catholic representative). 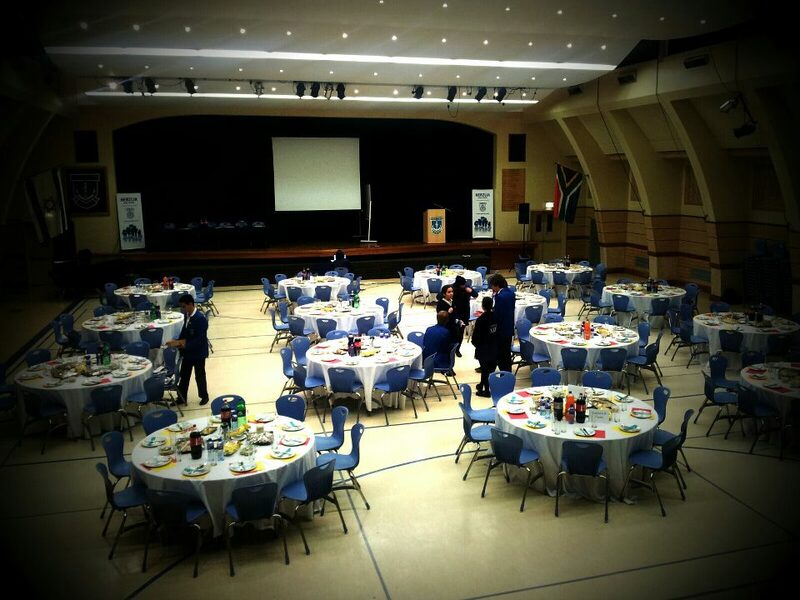 Many thought-provoking and original topics and responses were discussed. The concept most deliberated was the idea that tolerance should not be something to aim for but merely be a stepping stone on the way to peace and acceptance between religions and cultures. The students attempted to tackle the real issues of conflict between religions in the questions they posed to the panel. The Face to Face Alumni Committee ran some fun activities to show why one should embrace others perspectives and how easily information can be misunderstood and misrepresented. 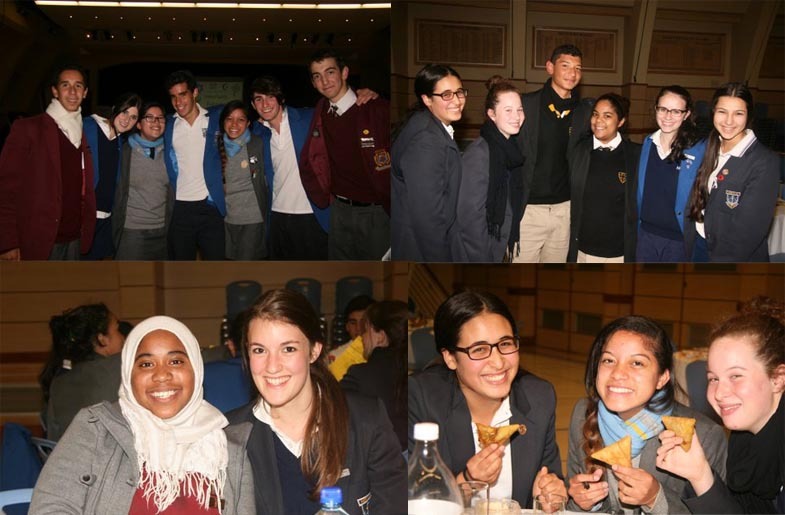 Students from Al-azhar High, Herzlia High, Islamia College, St Cyprians Girls, St George's Grammar and Westerford High enjoying the event. Each guest was asked to bring a religious or cultural object which was of personal significance. At each table, each student explained this religious or cultural object to their group to help them understand ‘other’ faiths on a more personal level.